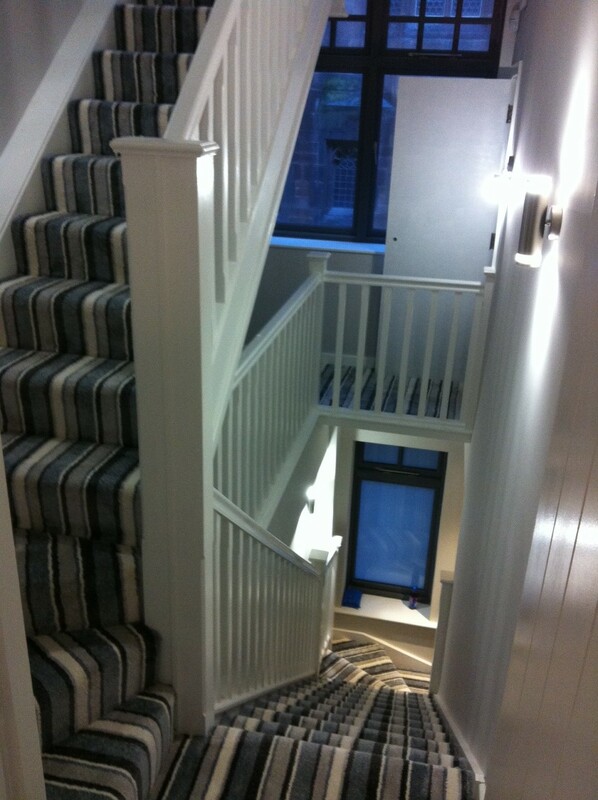 The old Wood Street Children’s Mission (just off Deansgate, Manchester) has been converted into two townhouses by J. Wareings builders, and they asked us to fit the carpets. 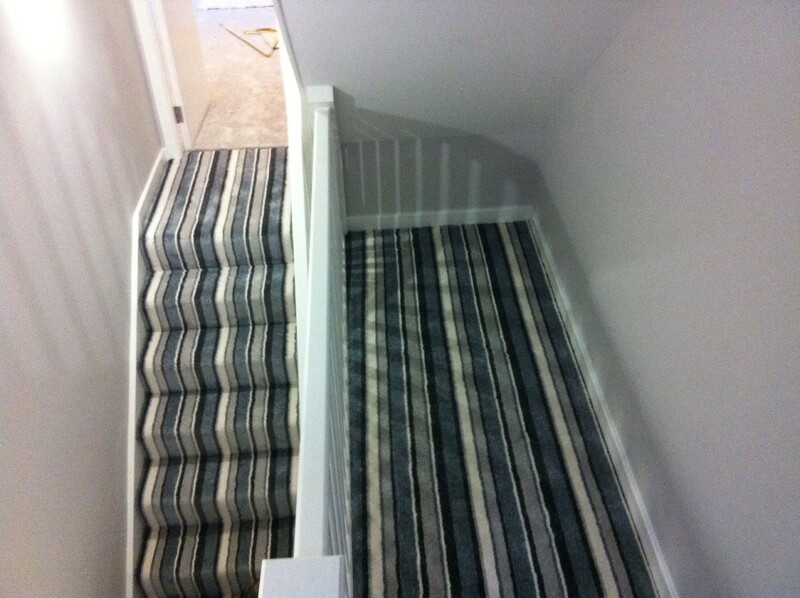 Having chosen to do the two houses differently to fit both clients’ requests, one was fitted with stripes and the other with plain carpet. 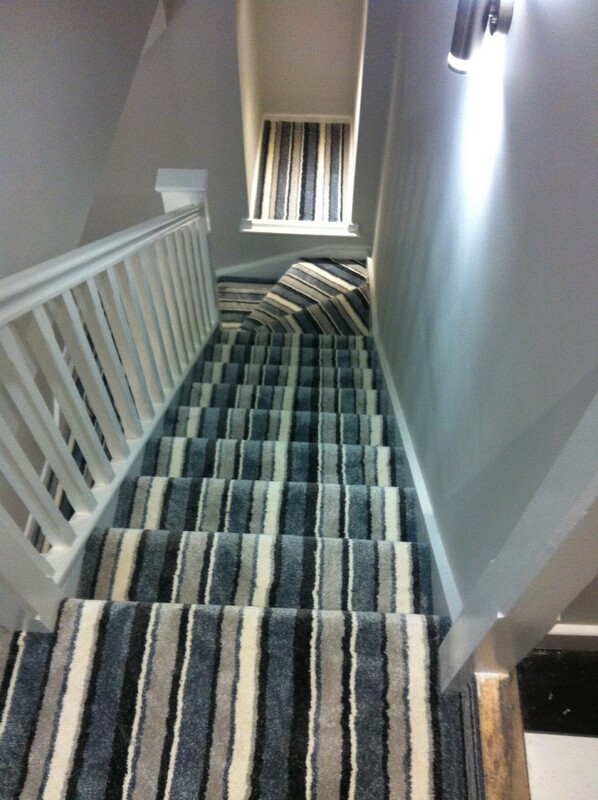 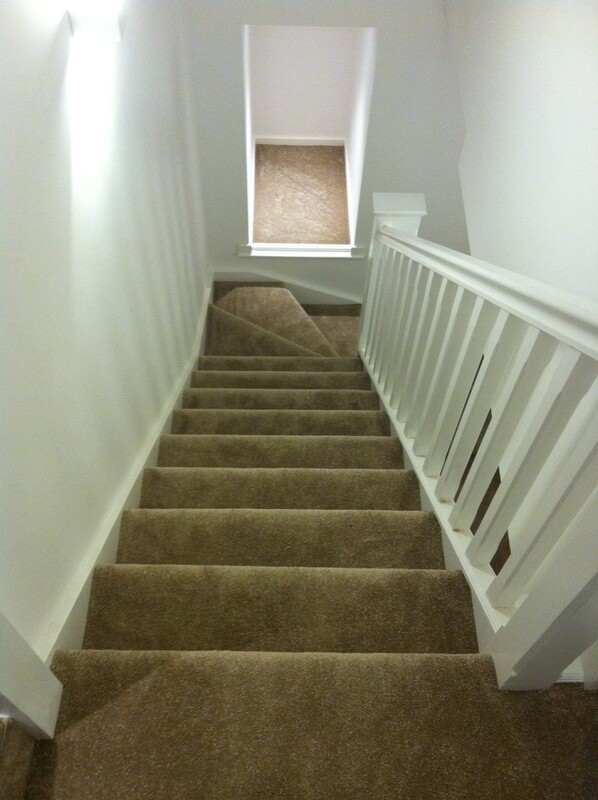 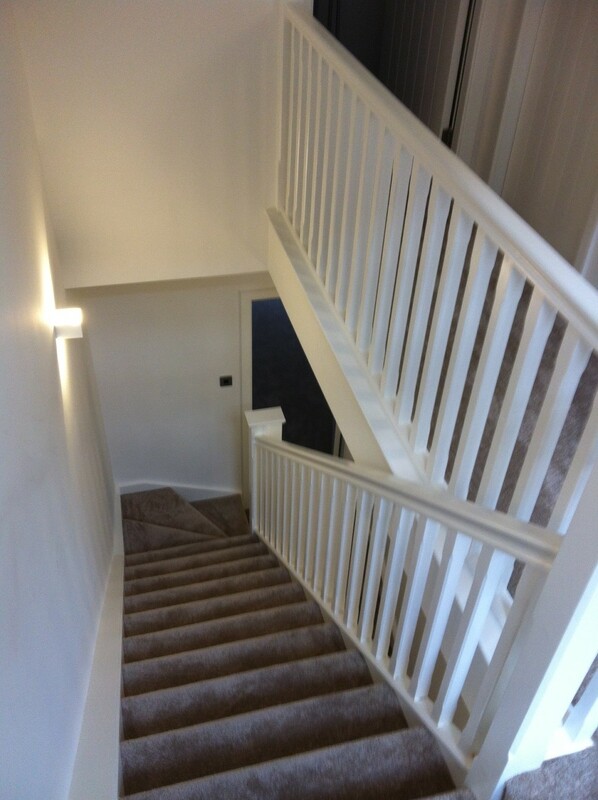 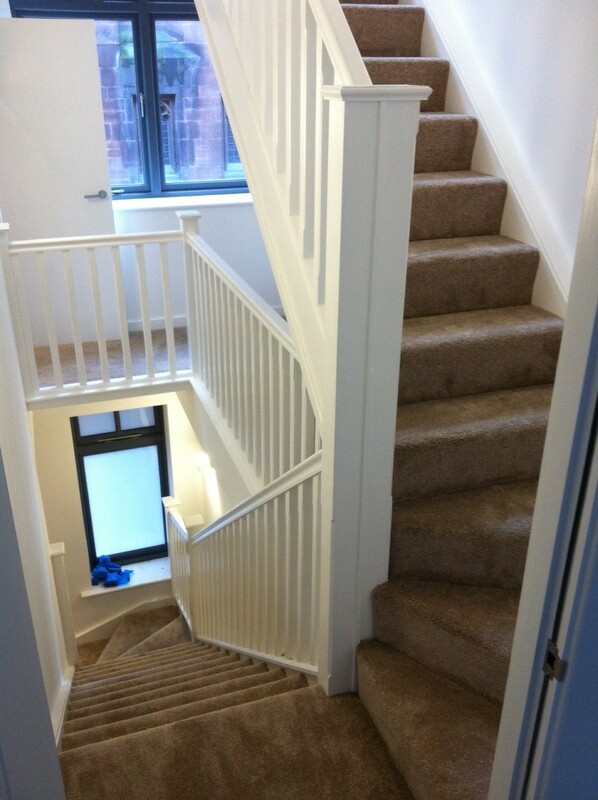 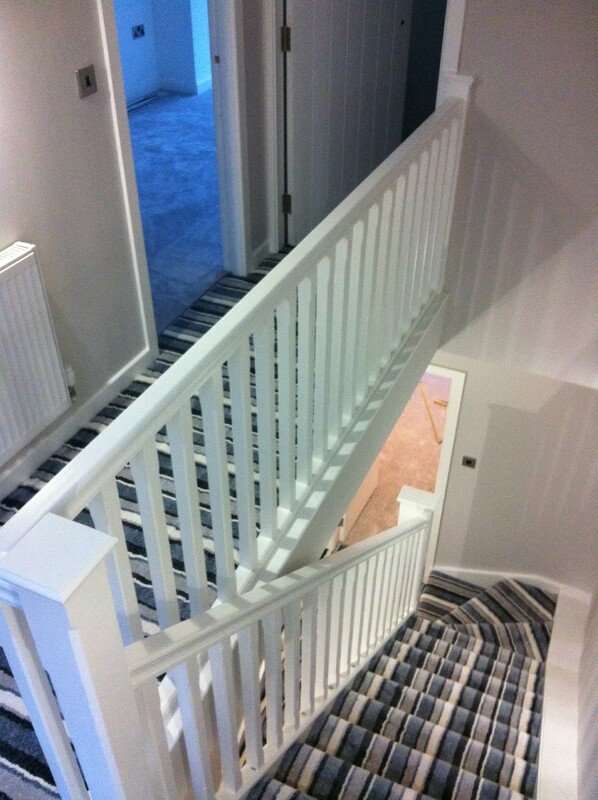 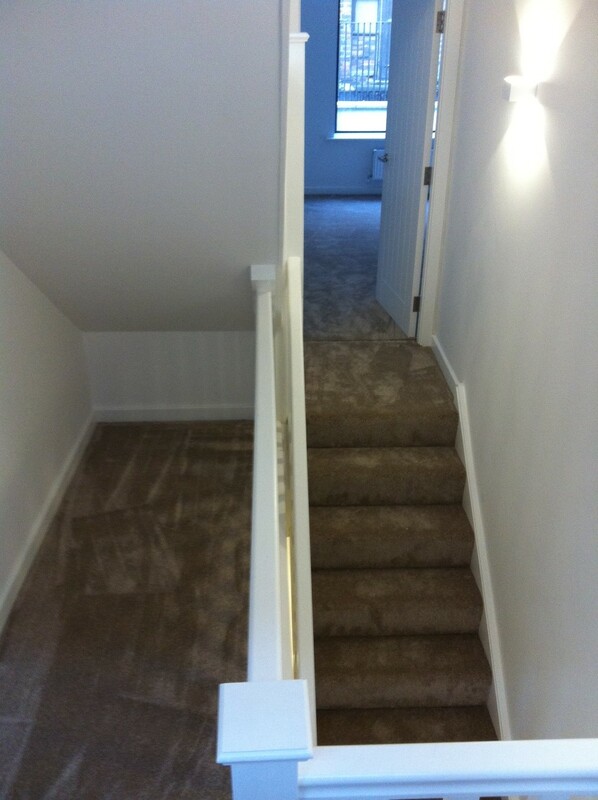 Evidently, the difference is noticeable but it just shows how both striped carpet and plain can both be used on staircases and landings and look just as impressive as one another.